Successfully reintroduced in The Muppets, Jim Henson’s loveable puppet creations are back for Muppets Most Wanted, a sequel that’s every but as fun and brisk as its predecessor, even if it does skimp on the heart. Capitalising on their newfound success, the Muppets embark upon a world tour. 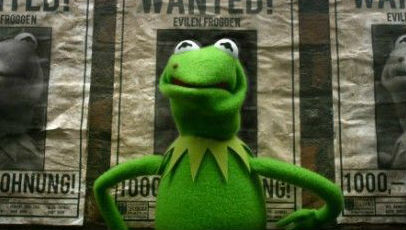 Soon after, Constantine, an evil frog, escapes from prison, only to swap places with Kermit and use the Muppets’ worldwide tour as cover for a series of elaborate crime heists. Picking up directly after the previous film (to the point where the fireworks are still fresh in the sky), and with James Bobin back in the directors chair, Muppets Most Wanted is a breezy caper where absurdity reigns supreme, and rightly so. The plot is scrappy, yet there’s humour abound in the form of skits, cameo appearances from the likes of Tom Hiddleston and lively musical numbers (Bret McKenzie deserves plaudits for his satirical songwriting skills, especially when considering the films opening sequel number). It succeeds most when focused on the Muppets themselves, with the human characters never quite fitting in, despite strong turns from Ty Burrell as an interpol agent and Tina Fey as an all singing, all dancing Siberian warden. The strong sense of nostalgia and heart that rooted The Muppets is noticeably absent, but that doesn’t mean that what’s been delivered here isn’t a frantic, laugh-a-riot treat with oodles of charm and entertainment value for both children and adults.